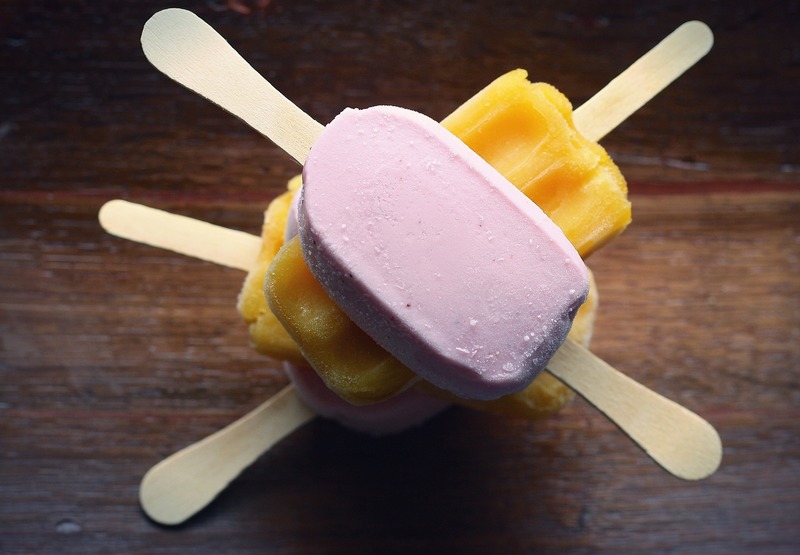 With the warm summer weather, lots of bloggers have been sharing their favorite popsicle recipes. I’m pretty sure that popsicle week may have had something to do with it, too. Over the fourth of July weekend, Sue Chef and I decided that we should try our hand at making some homemade frozen treats. I stopped by a large discount department store to purchase popsicle sticks and was directed to the craft aisle. While they had large bags of inexpensive sticks that looked like the one’s that were made for popsicles, the bag clearly stated craft sticks. There was no place on the bag to indicate that the sticks were food grade. In spite of a sales associate claiming that they were fine for making popsicles, we didn’t buy them. I did, however, write down the contact information for the craft stick company that was on the bag and sent off an email as soon as I got home that day. Here’s a copy of the content of the email that I sent to the company that produced and distributed the craft sticks. 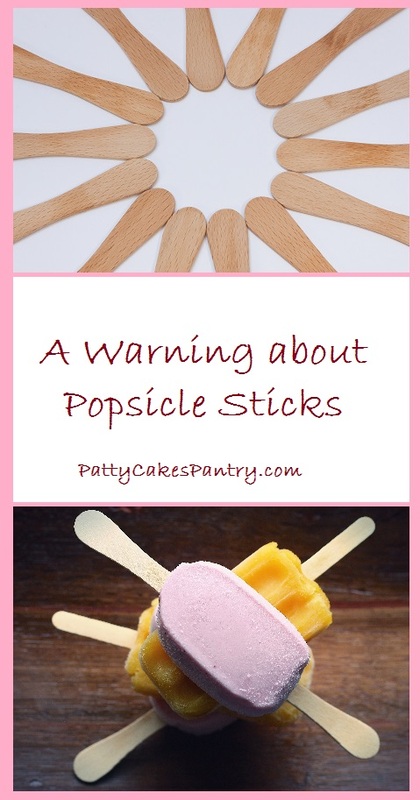 Are your craft sticks safe to be used when making popsicles? The craft sticks are for crafting purposes only. This confirmed that I made the right choice when I opted to leave those craft sticks in the store. 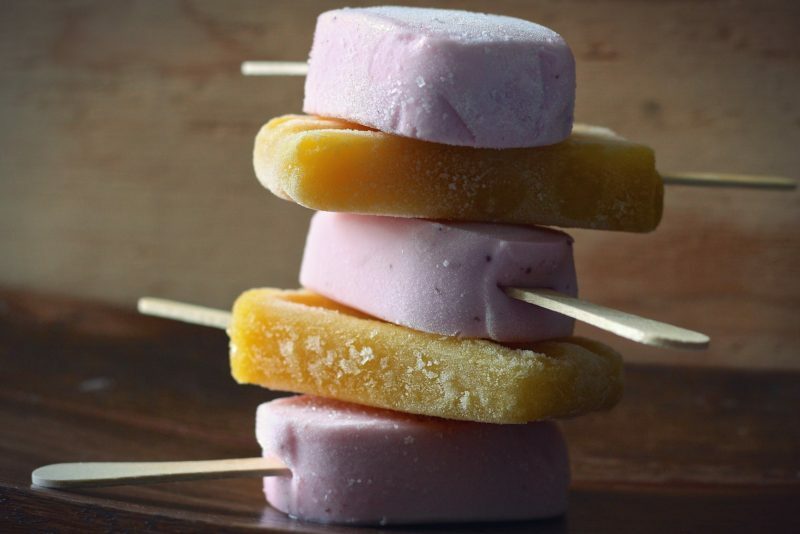 My advice is that you should continue to enjoy your healthy and homemade frozen treats, but make sure that any sticks you buy don’t just look like popsicle sticks. 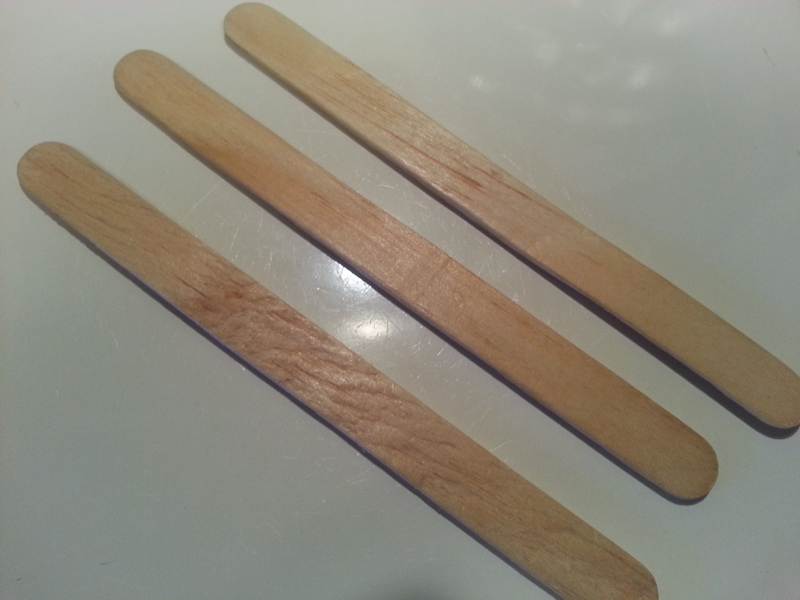 The sticks that you use must be labeled as food safe like these available through amazon, or these from craftysticks.com. Food safe wooden sticks can also be found in the candy making department of most large craft stores and sometimes in the produce section of your grocery store (for making caramel apples). 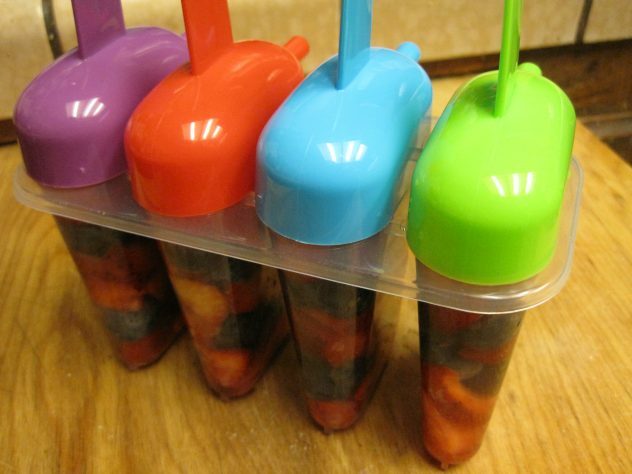 The whole purpose of making our own, homemade, popsicles is to make healthy treats for our family, right? We don’t want to make a choice that could risk making them sick. 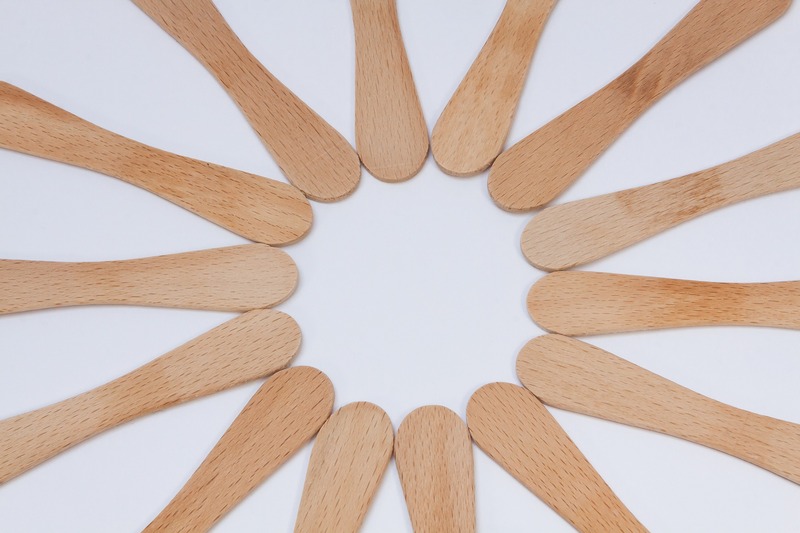 Be certain that you are using the right type of wooden stick. That’s my tip for today. 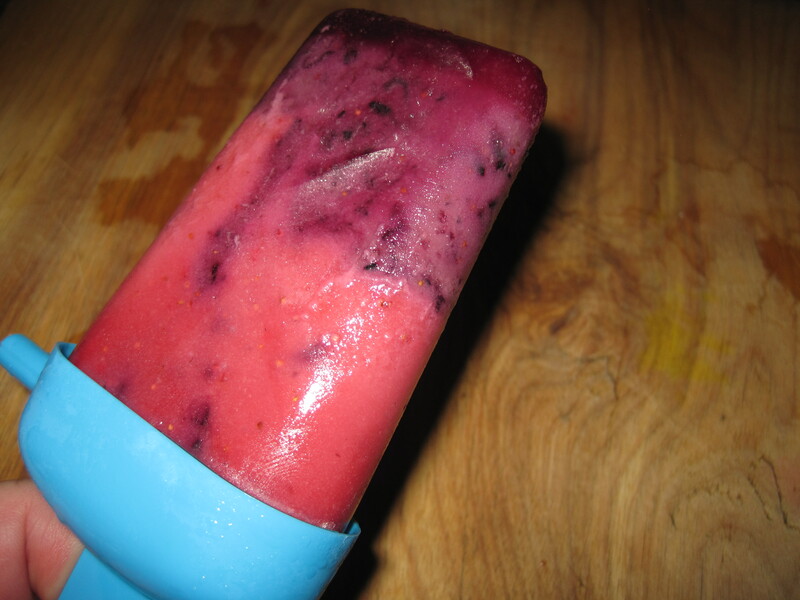 I will be posting the recipe for this Berry Swirl Popsicle in the very near future. Until then, thanks for visiting Patty Cake’s Pantry. The popsycles look good. I made some with strawberries yesterday for my granddaughters. They’re really good! Fresh fruit popsicles are the best, aren’t they? The kids have no idea that they’re eating healthy. I hope you share your recipe on your site. I probably wouldn’t have thought of this, so thanks for reminding me and taking the time to get further information to share with us. I’m not worried about the plastic molds from the dollar store for two reasons. 1. The plastic is intended for food. 2. These molds that I purchased indicated that they were free of BPA. I think I’m pretty safe using them unlike craft sticks which were clearly not intended for use with food according to the manufacturer.